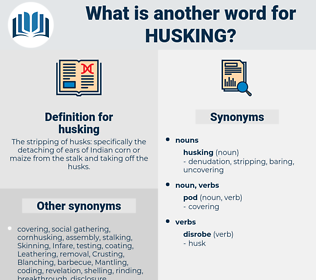 What is another word for husking? 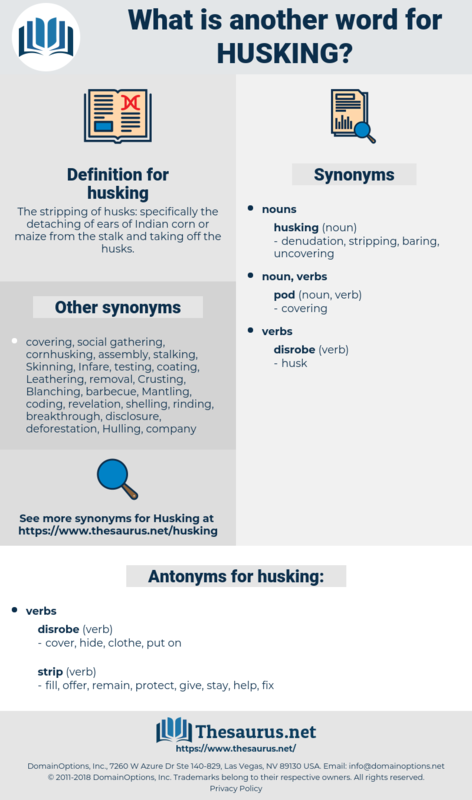 The stripping of husks: specifically the detaching of ears of Indian corn or maize from the stalk and taking off the husks. cover, hide, clothe, put on. fill, offer, remain, protect, give, stay, help, fix.